We have put together a list of general information to aid in the planning process. This information explains all of our payment policies, decoration rules, and many other topics. If you have any questions about our policies or anything not on this page, please feel free to contact us with any questions. 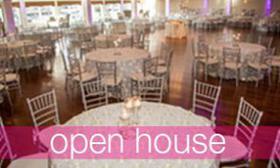 If you would like to see the Canoe Club Ballroom in person, please set up a private tour or visit our open house. We have created a payment plan to make the payment process as easy as possible. Bank checks, money orders, cash, and credit cards are accepted forms of payment. Credit card payments are accepted online or in person only. Partial and/or split credit card payments must be made in person. Below is a list of mandatory payments and their due dates. Personal checks are only accepted for the first deposit. Any and all scheduled payments are non-refundable. All overpayments are non-refundable but may be used towards upgrades. A 20% administration fee is added to all costs before discounts and does not represent a gratuity. A 7% MA local meals or sales tax will be applied to the final balance. Some services and/or vendors not utilized that are included in your package may be eligible for package credits. Meals for children 5 and under are $15.00. Meals for children 12 and under are discounted 50% off of the package price. Meals for vendors are discounted 50% off of the package price. The Canoe Club Ballroom requires meals for all vendors. Vendor counts must be provided no later than fourteen (14) days prior to your event. The quantity of discounted children and vendor meals is not applied towards the minimum required guest count. 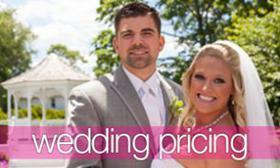 We Guarantee that your package price will not change between the date of your signed agreement and your wedding date. All food and beverages must be supplied by the Canoe Club Ballroom only. Wedding Cake is the only exception. 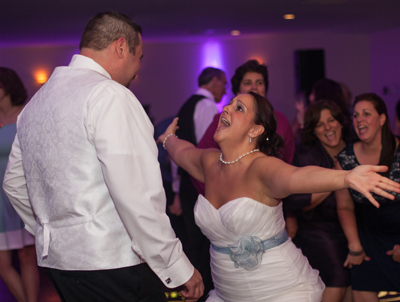 The Canoe Club Ballroom requires a minimum guest count of 125 for your special day. To ensure that we prepare for the right amount of guests, the final guest count needs to be confirmed 14 days prior to the wedding. This count is final and cannot be changed. 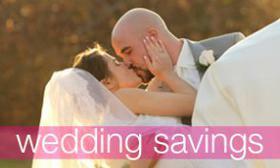 Our wedding packages include 5 hours of exclusive use of the grounds and function hall. 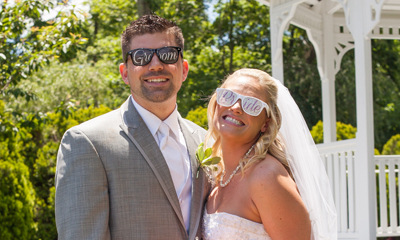 The times are to be determined three months prior to your wedding date. Saturday afternoon receptions are from 11:30am - 4:30pm. 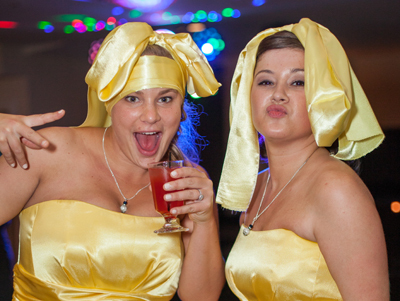 Saturday evening receptions are from 7:00pm - 12:00am. Sundays on holiday weekends will be treated as a Saturday. You may provide your own decorations and flowers. Please, no glitter, confetti, rice, birdseed, medicines, or gum to be used within our grounds, as table decorations, or as favors. Bubbles are permitted outside only. Please check with your coordinator. All uplighting, pinpoint table spotlighting, and photobooths must be provided only by the Canoe Club Ballroom. "Starscape" LED lights, "Cloudscape" lights, and fog machines are strictly prohibited. When adding vendors to your wedding package or for packages that include vendors, please know that each vendor may require a deposit and the amount and/or percentage is at the discretion of each vendor. When paying a deposit to a vendor, the deposit amount will either get applied towards upgraded services provided by that vendor or, if there are no upgrades, the deposit amount will be refunded in the form of a discount off of your final balance with the Canoe Club Ballroom.